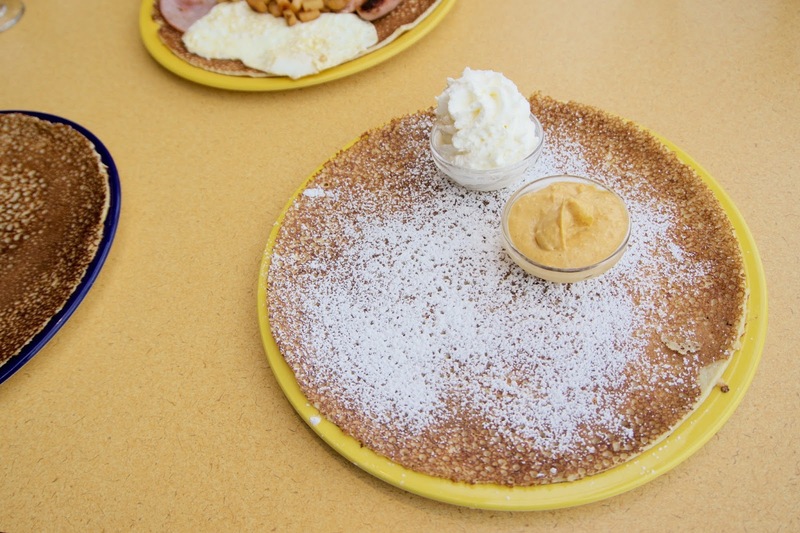 The pannekoeken itself is deceivingly large, but it's actually super thin!! 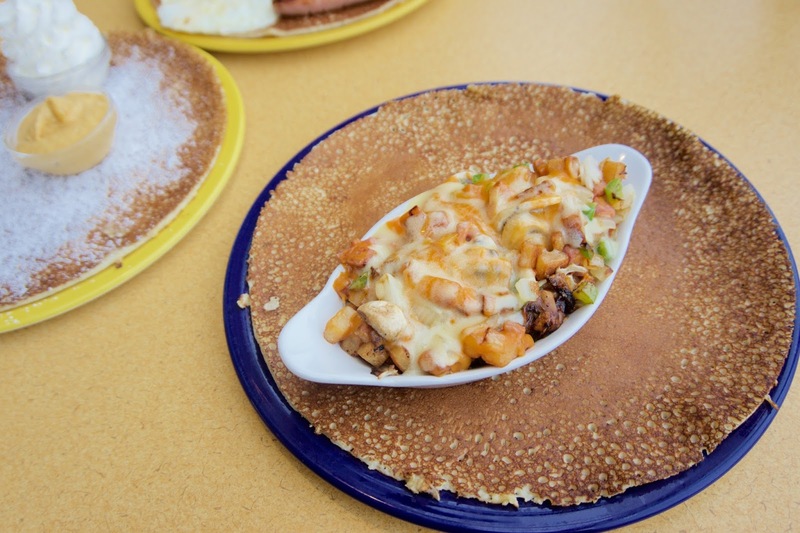 The pannekoeken was moist and egg-y tasting. I wasn't fond of the ham or bratwurst because it tasted really "fake" harhar...if you know what I mean. The bacon was quite nice though, it was really crispy with a bit of charring on the edges! The hash was fine, but I would've preferred if it was crispier. My parents wanted to order a sweet pannekoeken, so they got one to share! The pumpkin cream cheese flavour is limited to their fall menu. It was doused with a generous amount of powdered sugar and came with pumpkin flavoured cream cheese and whip cream on the side! They really liked the pumpkin cheesecake flavour; the pumpkin flavour was evident but it wasn't too sweet! The parentals also got a savoury pannekoeken to share!! The hash was quite basic, something you could easily replicate at home. It was decent though! The cheese was well melted and there was a generous amount of ingredients, it wasn't too salty either! 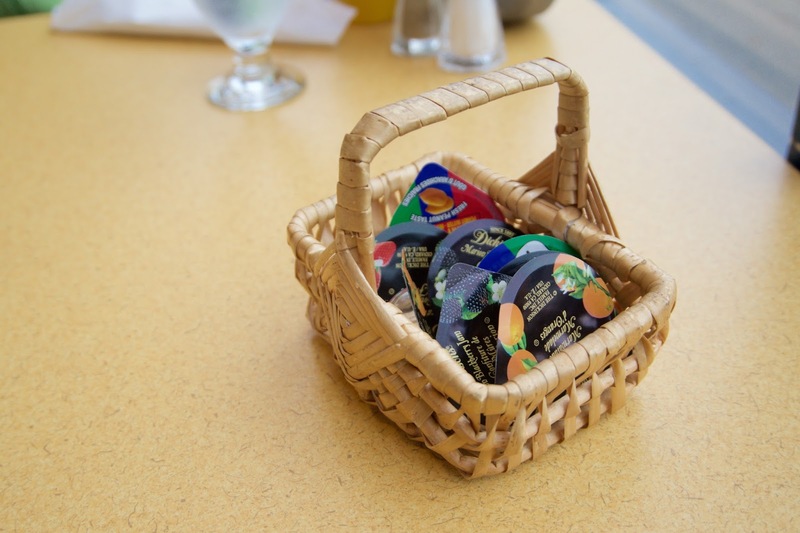 How cute is this little basket?! 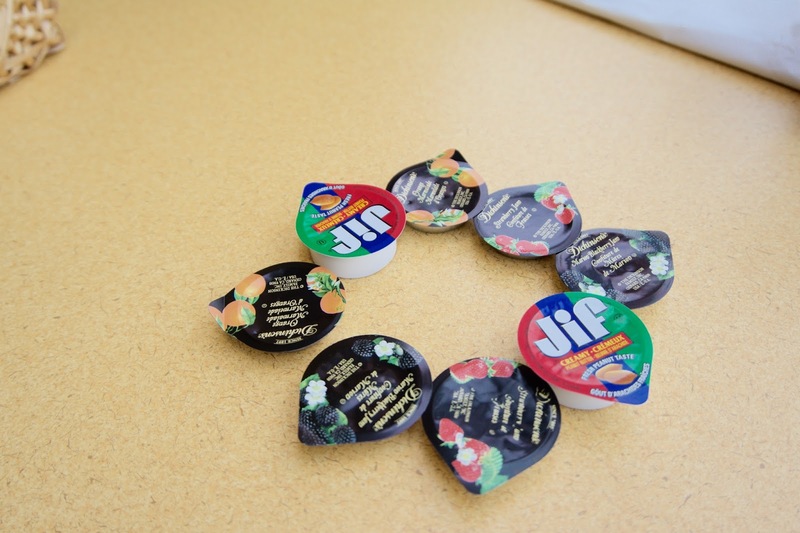 Marmalade, jam, peanut butter...De Dutch's got you covered! 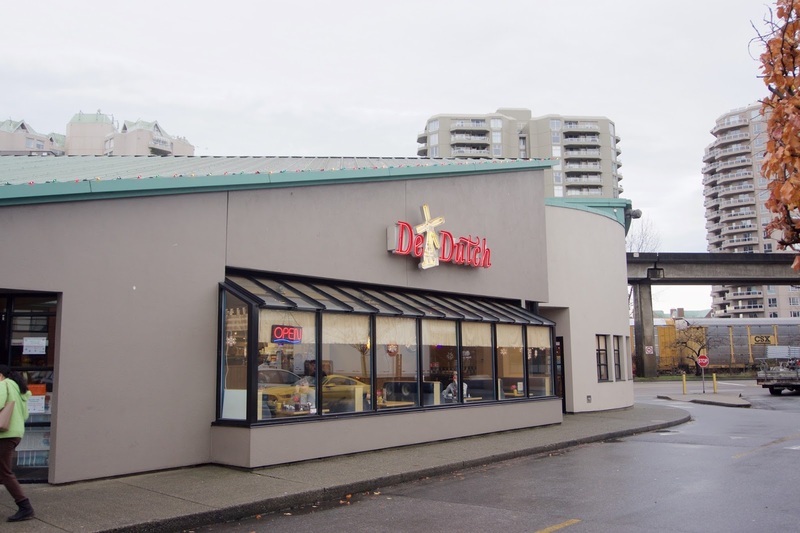 The only other similar Dutch non-chain restaurant would be Dutch Wooden Shoes Cafe in Cambie, not far from Cafe Gloucester. 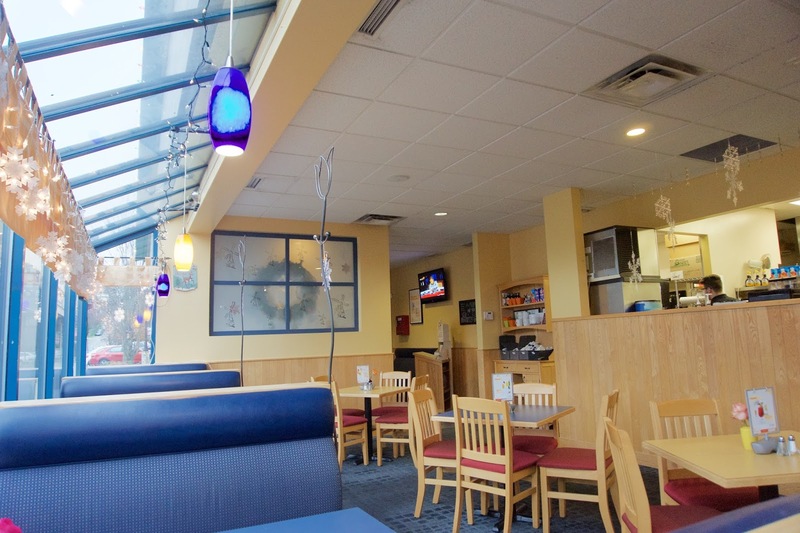 I did go to both places but stopped doing so when I learned to do crepes. 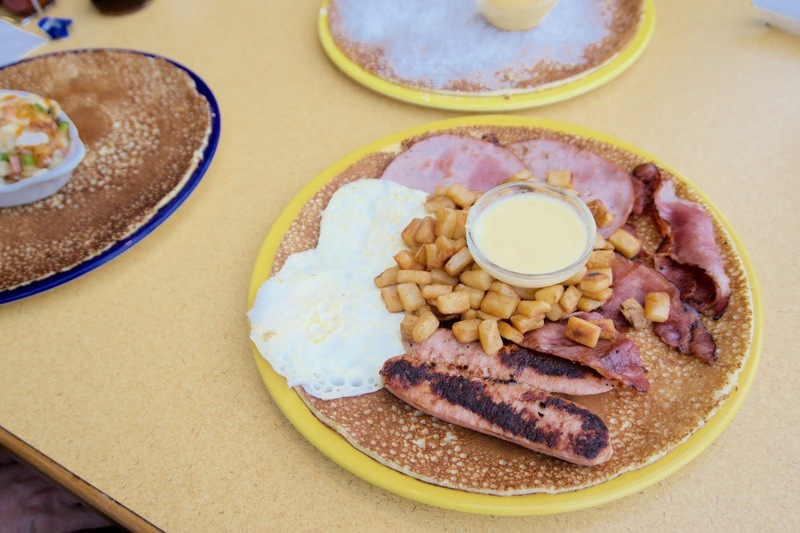 After all (and at the risk of oversimplifying it), a pannekoek would be a supersized crepe. The trick, wasn't the recipe (it is darn simple - 1 cup of flour, 1 cup of milk, 1/2 cup of water, 2 eggs. Add sugar and vanilla essence if sweet), was rather the pan: A regular pan won't do as you would have problems trying to flip without breaking it. Instead, you have to get one where the sides are really low. Funny enough, IKEA sells them for ~$10. Learning to make them wasn't bad at all: Neither De Dutch or Dutch Wooden Shoes are cheap for the amount of food. Neat!! I'll need to get myself one of those pans haha!! Wow, the recipe is incredibly simple!